If you’re growing barley, Systiva® offers you a whole new level of disease protection that can set up the crop for the whole season. Systiva is the first seed treatment to control all the major foliar as well as seed-borne and soil-borne diseases in barley, protecting the crop right through to beyond flag leaf. Systiva has also been shown to increase early crop vigour and green leaf area. Most importantly, the data shows that Systiva consistently increases average yields to provide a greater return on your investment in truly game-changing barley protection. 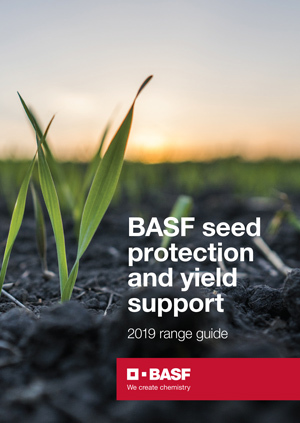 View our guide for the most robust and long-lasting seed treatments, broadest spectrum of pest control, insecticidal treatments and inoculants, and look out for our registration of ILeVO, expected in mid-2019.